Do you have pets? If so you’ll want to keep their feeding instructions written down. This is especially important if your pets take medicine or supplements on a regular basis. 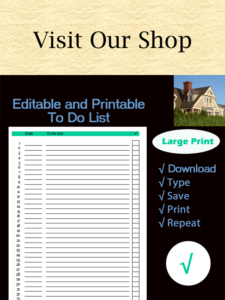 Check out our printable chart, which will help you document their feeding instructions. 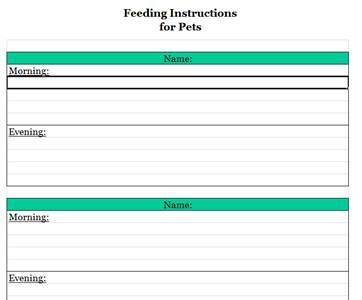 There’s room to track the feeding instructions for three pets. So print the chart below, and jot down the names of your pets. Posting: We find it helpful to post the chart next to their dog food and feeding area. This makes it easier for anyone who needs to feed the dogs. 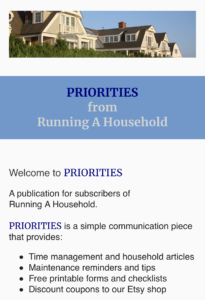 This entry was posted in Maintenance and tagged blank chart pet feeding, blank pet feeding schedule, printable chart pet feeding instructions, printable pet feedimg schedule on January 30, 2014 by Running A Household.